Located in East Cleveland and just off the Freeway along with Truck and Bus Parking. Free Coffee, Guest Laundry, Pet Friendly Hotel, Sitting Area with TV. Start your day off right with our Free Hot Continental Breakfast. 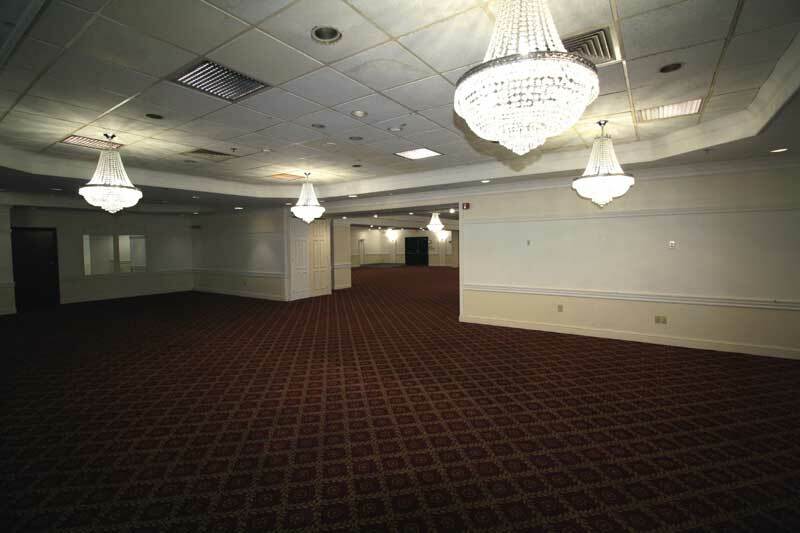 Several smaller configuration rooms along with Ball room with over 10,000 square feet of space. Onsite Bar and Grill available for our Valued Guests. 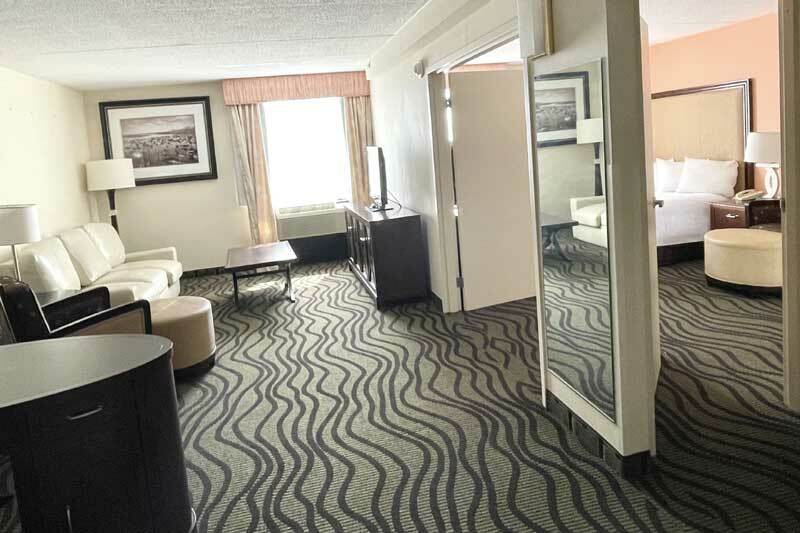 Fairbridge Hotel Cleveland East is conveniently located in the city of Cleveland, Ohio. We are conveniently located off of I-90 exit 187. Our location is just 15 minutes away from downtown Cleveland. We are also just 15 minutes away from Legacy Village the premier shopping experience. Our Hotel provides 10,000 Square Feet of meeting and banquet space, Hotel Restaurant, Lounge and Room Service Available. The Fairbridge Hotel is your Home away from Home, for either business or pleasure. All our rooms in Wickliffe Ohio motel are well maintained and are fully featured with modern amenities. Iron and ironing board are available in all rooms as well as all customers are facilitated with high speed wireless internet. With some of the best places to visit around, Fairbridge Hotel is a wonderful option for anyone visiting Cleveland. This hotel is located 15 miles from downtown Cleveland and is 7 miles from the Legacy Shopping Village. 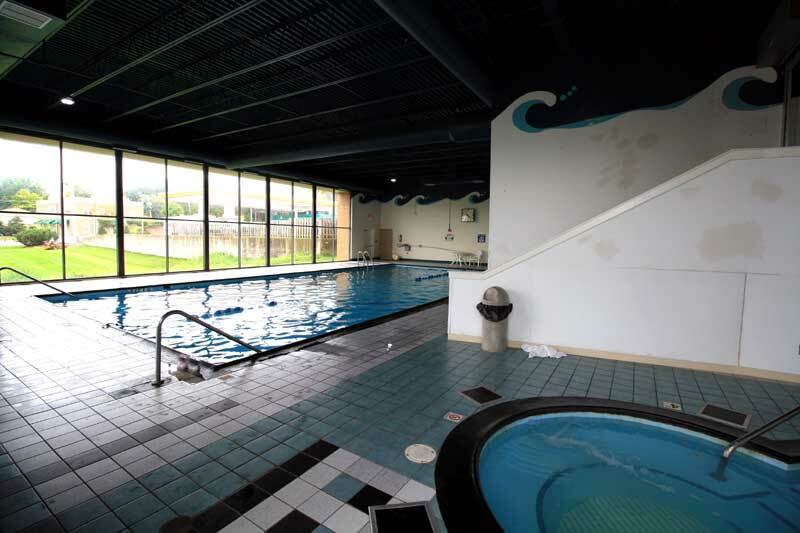 The hotel offer an indoor pool and rooms with free Wi-Fi. The hotel features a Bar & Grill reopening in April 2015. Guests at the Fairbridge Hotel Cleveland East can relax in the hydromassage tub or the sauna. The hotel also features a gym. The Fairbridge Hotel Cleveland East is within a 20-minute drive of the Rock and Roll Hall of Fame. The Great Lakes Science Center is 12 miles from the hotel. CheapTickets.com has some of the lowest priced tickets for sale. Ticket prices vary depending on demand and on our inventory, but buy right now and you can get 55 dollar tickets for A Bronx Tale. Activities : While your here in Wickliffe Ohio, we hope you enjoy lots of outdoor activities and getting exercise. Spend some time visiting a historic park and mansion, or spend an afternoon skating and playing a game of laser tag. Airport : 5300 Riverside Dr, Cleveland, OH 44135 (216) 265-6000 Whether you're departing or arriving, there's always something great going on at Cleveland Hopkins International Airport. Arrive a little early or linger a little longer, there is a world of amenities at your fingertips. Attractions : Cleveland is showing off its vibrant spirit with new museums, inventive restaurants and retro boutiques. Once you've checked The Rock & Roll Hall of Fame and Museum off the to-do list, what's next? Plenty. Give some of these tried and true options a look, sports, family, museum, and arts related attractions will be some you'll enjoy! Casinos : Gamble, jam, eat, drink, laugh, repeat. The Casinos in Cleveland Ohio makes for a multi-purpose night (or day) out. Dining : We don't have to brag about our restaurants. Wickliffe Ohio is a dining paradise. Whether searching for mouthwatering barbecue, classic Mexican food or your favorite comfort food, Ohio's eateries and restaurants are ready to serve up heavenly entrees, savory signature side dishes and divine desserts. Downtown : Downtown Cleveland is the central business district of the City of Cleveland and Northeast Ohio. Living Downtown. Downtown Cleveland's charming neighborhoods all have their own unique character. Within our streets you will find trendy residential places, world-class dining, retail, entertainment and more. Interested in making the move? Events : The Cleveland Flea is a small business incubator that draws thousands of Northeast Ohioans to lesser-known neighborhoods in the city to shop curated vintage, culinary all-stars and the most talented makers in the region. But it's always been more than just a market. Golf : Grab a friend, rent a golf cart, and enjoy an afternoon of golfing across the sloping fairways and elevated greens of Cleveland Ohio's most popular public courses. Government : Cleveland City Hall 601 Lakeside Ave Cleveland, Ohio 44114 Weekdays 8am-5pm P: 216.664.2000 Relay Service: 711 Send Email We are committed to improving the quality of life in the City of Cleveland by strengthening our neighborhoods, delivering superior services, embracing the diversity of our citizens, and making Cleveland a desirable, safe city in which to live, work, raise a family, shop, study, play and grow old. (216) 844-1000 The history of University Hospitals Case Medical Center is linked to the history of Cleveland. Founded in 1866, we were nurtured and supported by Cleveland's great industrial families of the late 19th and early 20th centuries – the same families that played key roles in the development of the city's noted civic and cultural institutions, including the Cleveland Museum of Art, The Cleveland Orchestra, and The Cleveland Foundation. Shopping : Since you've shown such superior taste in shopping for awesome cities to visit, no doubt you'll do well among Cleveland's vast array of malls, quirky shops, independent art and must-see antique shops. Sports : Cleveland is uber-familiar with the entire win/lose spectrum of sports, and such flux builds character. It also creates a gaggle of interesting characters, whom you'll see at any game. Come check out a game happening year-round. University : Cleveland State University 2121 Euclid Avenue, Cleveland, OH 44115-2214 | (216) 687-2000 About CSU At Cleveland State University, a revitalized sense of place meets a rewarding sense of purpose — with extraordinary results. Welcome to our great hotel in Wickliffe Ohio with affordable rates and cheap budget discount lodging. Fairbridge Inn and Suites East Cleveland welcomes you to our budget hotel in Wickliffe Ohio. 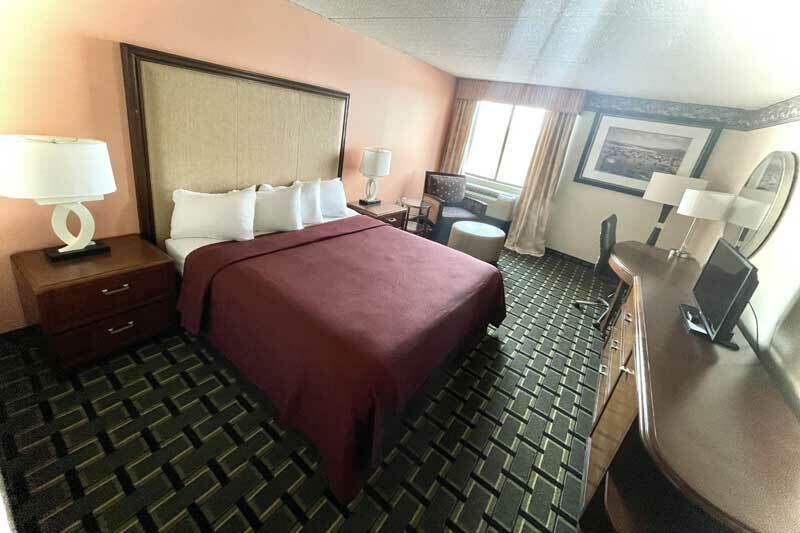 Fairbridge Inn and Suites East Cleveland will provide you excellent customer service with great amenities in comparison to all Hotels and Motels in Wickliffe Ohio. Please visit us on your next stay in Wickliffe Ohio and let us provide you with 4 star hospitality for 2 to 3 star budget rates. Fairbridge Inn and Suites East Cleveland has been providing lodging and accommodations in Wickliffe Ohio for several years and looks forward to providing our valued customer and business traveler with the best service in Wickliffe Ohio for Hotels and Motels in our local area. Stay midweek and get a 8 percent discount. 2 night minimum stay. Higher rates on weekends. Start your stay on Sunday and get a 10 percent discount. Weekdays 8 percent and higher rates on weekends. © 2018 Fairbridge Inn and Suites East Cleveland. All rights reserved.